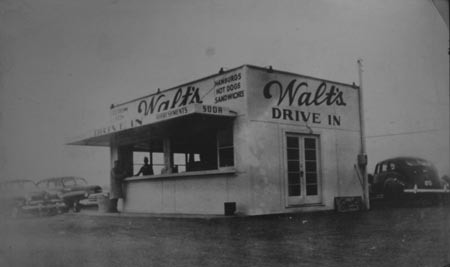 On the same spot where the Winchester Cafe stands today, Walt's Drive-In was a busy place. Perhaps you have a vague memory of having hot dogs and milk shakes here on your way to the lake or coming home from the Connecticut Dragway on Rt. 16. The building was erected in 1947 by Walt Grabek, Donna's Dad, with the idea of him staying here "for a few years." The picture of the original building (shown on the left) can be seen inside the Winchester Cafe on the wall near the big window. Thirty-five years later Donna talked him into retirement (when he was 72) and changed the place into the Winchester Cafe in 1982. Four years later, the building was added onto, and both interior and exterior were changed. This look remains today. The menu has evolved thru the years to include the BEST in burgers and sandwiches, chicken wings, Mexican dishes, prime rib and many other choices. We have plenty of beer, wine, and liquor to accompany your favorite appetizers and dishes. When you come to the Winchester Cafe, take the time to walk around and see the many interesting items on display, gathered from all over New England and southwest, including our "prairie owl" and "jackalope" (both have gained attention in newspaper articles!). Until you get here, see some of our collectibles in the photo gallery. We welcome anyone, including bikers, to check us out and meet the regulars who have made the Winchester Cafe their home. History is still being made here. We book some of Connecticut's finest bands. Our pool team won the state championship. You never know who'll stop in, either. 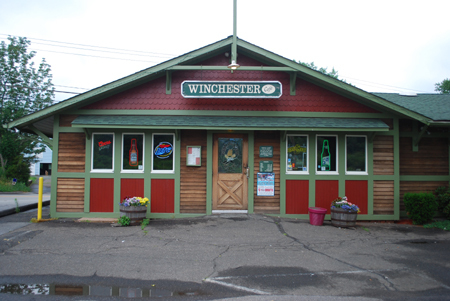 The owner of the Winchester Cafe and the "Winchester repeaters" are proud to be part of the best bar and restaurant east of the Connecticut River.  Get directions.